This pillow perfect as a keepsake for small items and also provides a huggable gift for your families. 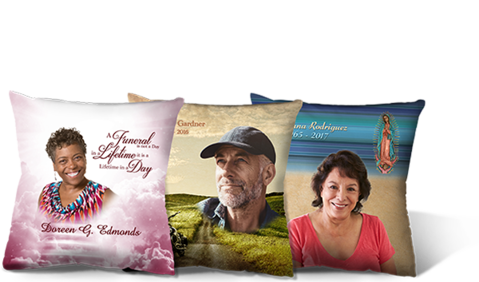 is a 18” by 18” pillow and the pillow itself has a hidden pocket at the top so that you can insert or place any item that reminds you of your loved one. This is both the pillow and the pillowcase combined. The pillowcase in which the pillow is covered with is made of poly suede material. The images printed on this material are very vibrant and have a very high resolution.